Everyone appreciates the importance of making a good first impression. That’s among many reasons your business should invest in a consumer-centric, mobile-friendly responsive website. Think of your website as the front door to your business. If yesterday’s customers spent hours window shopping before deciding whether to enter a store, today’s tech-savvy consumers literally have the world at their fingertips. With a few quick keystrokes, they can find you – or your competitors – in seconds. 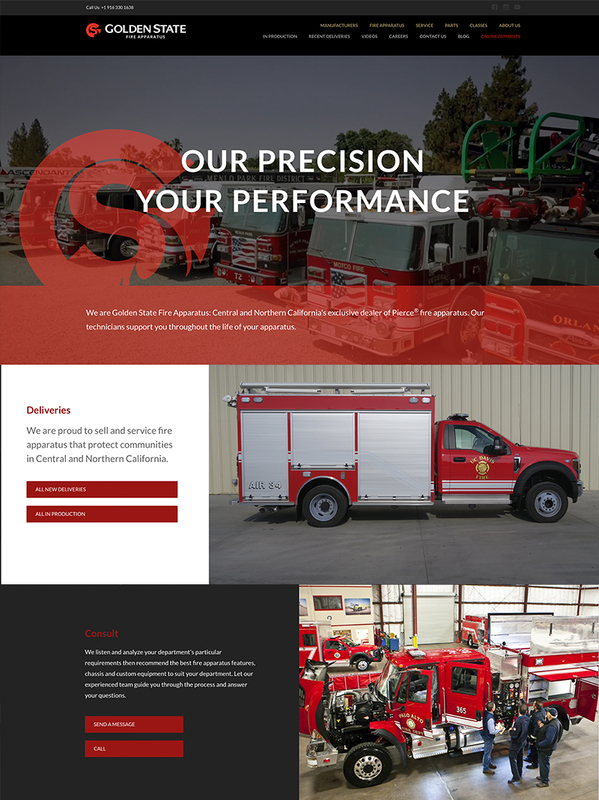 A professional website allows you to make that strong first impression. More importantly, with online sales mushrooming, there’s a good chance your website may be the only way some customers interact with you. If you haven’t updated your site in 2-3 years you could be missing out. Here are a few reasons you should upgrade your website. Your logo is the entry point and the most critical item created when developing a brand. The logo sets the tone and provides the right visual atmosphere for how the brand will be perceived in the marketplace. Think of some of the iconic logos of all time – the McDonald’s golden arches, the Mercedes emblem, the Apple computer logo with a bite out of it. Each of them is ingrained in consumers’ consciousness with their company. Your business may not be of the same scale, but there is no reason your logo can’t become just as recognizable with your core customers as well as others in the marketplace. Your logo should be front and center on your website and resonate throughout the entire site. It doesn’t matter what your product or service is – people appreciate, admire and are drawn to creativity. Your website should reflect all of that in ways that are consistent with your brand identity and company culture. Investing time in creating a website that shows off the best of what you offer and the people behind it is an important way to convey who you are and how you stand out from your competition. As online retailing and social media have exploded over the past decade, so too have user expectations about the ease of navigation on your website, the quality of the information and the ability to safely purchase a product. Today’s savvy consumers will not tolerate clunky sites that require multiple clicks. They expect their supermarkets to be organized when they shop there; it’s no different on your website. Frustrate them at your own peril; they will go elsewhere to find what they want. Every company talks about exceptional customer service. Your website provides a strategic opportunity to deliver on that promise. Each time you quickly allow a potential customer to browse your site, evaluate your produce and service, place an order or simply communicate with you, you reinforce the perception of a well-managed, focused and serious business. Be sure to incorporate social media into your customer service platform, as todays users will be likely to comment or ask questions on Facebook or Instagram as well. Savvy consumers don’t want to poke around your site trying to find the information, produce or service they need. Make it easy for them. Like a neat desk, a clear, well-organized website sends an important message about your professionalism and your trustworthiness. Provide easy-to-understand navigation tools and flexibility without overwhelming potential customers with information and details they don’t need. Clean and simply is a good thing. MHD Group has more than a decade of experience designing and managing websites that not only look sharp, but drive business to your company … and your bottom line. Our innovative staff is on top of the latest trends in customizing truly interactive sites that include metrics to help analyze exactly how your audience and potential customers are using it. If your website is a few years old or you’re not sure it’s meeting all your needs today, give us a call or send us a note. We’d love to collaborate with you to bring your online ideas to life.